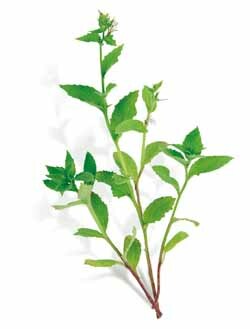 (Indian tobacco) This is the most common medicinal lobelia variety, valued by early Native Americans. Its active ingredient lobeline, a nicotine agonist induces paradoxal effects on the body as it can be both a nervous stimulant when used in small doses as well as a respiratory depressant when used in larger doses. This property makes it useful for bronchitis and asthma. Lobelia has a history of being smoked to relieve respiratory ailments. Was also used to induce vomiting to purge the system. Careful, as excessive doses can cause severe depression of the nervous system and can lead to hypothermia, respiratory failure, paralysis, nausea, abdominal pain and coma. Tall flower spikes produce pale blue-purple flowers. Good container plant. Prefers cool weather, and adequate water. Locate in full sun to part shade, sow into well-draining soil in spring or fall. Germinates within 2 weeks. Ht 6-12in.